Magic Portals looks, at first glance, like a relatively simple slot, but looks can be deceiving. More about this later on in this review. The slot has five reels and three rows with a total of 25 pay lines, giving it a simple layout. The slot has no standard symbols but the many colored balls still make sure it's easy to keep track of what's going on on your playing grid. Besides these symbols, you will also encounter a fiery lady, a wolf, an owl, a dragon, a wizard, and some more fantasy-like animations. The background music and sound effects are enticing especially during wins and the special feature. 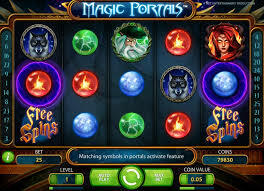 Magic Portals is one of Net Entertainment‘s most well-known slots and that has everything to do with the theme and special feature. The slot has a very well-executed fantasy theme and you will have to keep track of quite some things simultaneously. However, you could also just spin and wait until the slot tells you when you’ve won something. And for this, you actually only have to pay attention to the sound effects. With a maximum win of fewer than 100,000 coins, you know you will frequently win relatively small. How to play Magic Portals? 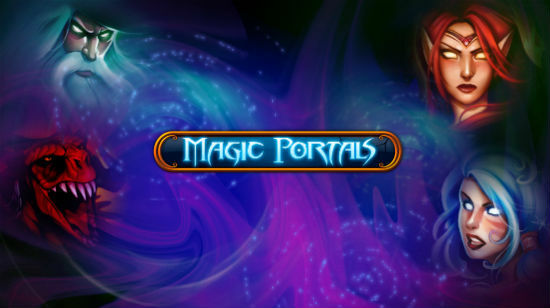 Magic Portals looks, at first glance, like a relatively simple slot, but looks can be deceiving. More about this later on in this review. The slot has five reels and three rows with a total of 25 pay lines, giving it a simple layout. The slot has no standard symbols but the many colored balls still make sure it’s easy to keep track of what’s going on on your playing grid. Besides these symbols, you will also encounter a fiery lady, a wolf, an owl, a dragon, a wizard, and some more fantasy-like animations. The background music and sound effects are enticing especially during wins and the special feature. Magic Portals mainly revolves around the special feature. The middle symbol on the first and fifth reels are outlined and that has a clear reason. When two matching symbols land on those two positions, the special feature gets triggered. When this happens, extra wilds on your reels enter your reels and can turn an otherwise useless spin into a lucrative one. These two positions also have to do with reaching free spins. That is, you will need the scatter on both those positions. This can happen with every spin, making this slot even more exciting. 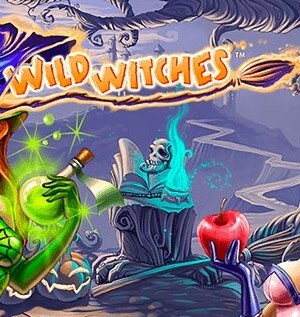 Free spins are the most exciting part of Magic Portals. Also here, the special feature is active, but then with a higher possibility of getting triggered. Namely, all row positions on the fifth reel are involved instead of just the one in the middle. What’s more, when that happens, the entire fifth reel becomes wild. 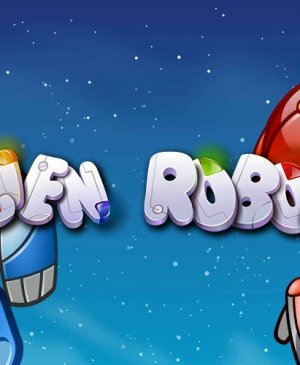 During free spins, you can win additional free spins, and with the entire fifth reel involved, your chances of that happening are rather good. The potential wins during free spins are much higher than during the base game and that makes free spins the best part of this game. 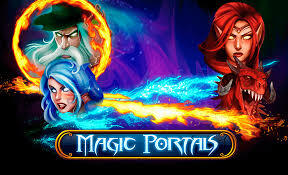 Magic Portals does not have a jackpot and you will frequently win relatively small. However, still, with a bit of luck, you will frequently win no less than a couple of hundred of coins. The maximum potential win amounts to less than 100,000 coins and that might not be worthwhile for some. 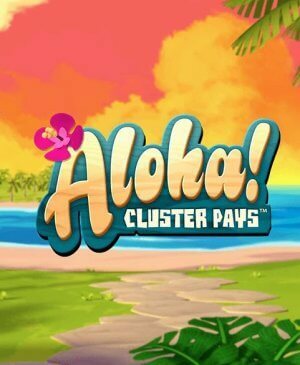 64,000 coins might not be that much, but the game itself really is exciting, it has great animations and sound effects which, all in all, make this a popular slot. If you’re looking for an exciting and quite unique slot, you should definitely give Magic Portals a go.